City of Guadalajara hotels? 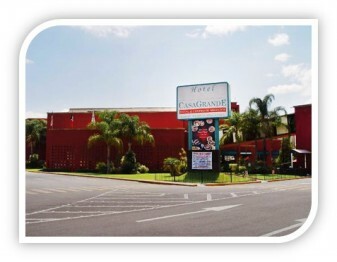 Here we offer you a list of the best 5 five star hotels in the Guadalajara Jalisco Mexico Area. Its contemporary architecture and it is designed by contemporary architects, evidenced through colors and textures creating an excellent venue for lodging and banquets across the street from Expo Guadalajara with best technology in hospitality industry. Sightseeing and shopping in Guadalajara Tonala and Tlaquepaque. See arts and crafts galleries, markets. Hotel Crowne Plaza Hotel is located at the crossroads of two of the most important streets, “Lopez Mateos and Mariano Otero Avenues, and a few steps from Plaza del Sol with easy access to the financial and commercial areas. Beautiful gardens surround the room, equipped with amenities for business our pleasure. In front of Glorieta de La Minerva and about 10 min. the World Trade Center. 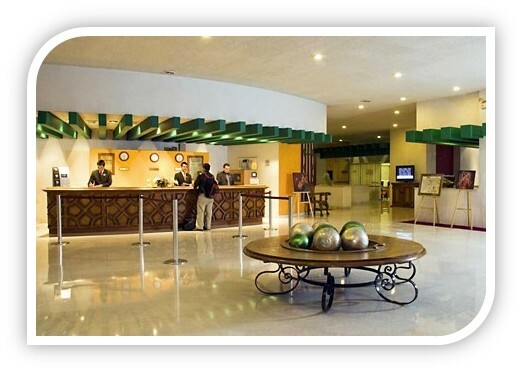 In a functional building that houses a convention center in Guadalajara, is the ideal hotel for leisure or business. 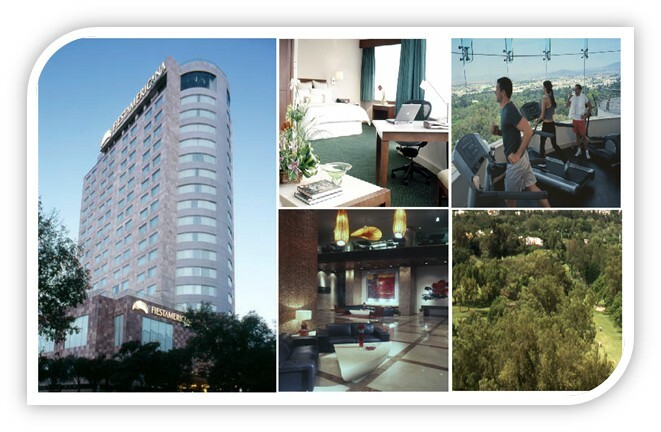 Hotel Fiesta Americana Guadalajara places it in the economic and financial heart of this great city of Roses. Fiesta Americana Grand Guadalajara offers an upscale hotel atmosphere for business travelers in the heart of the city’s exclusive corporate and financial district. Our luxury Guadalajara hotel features spacious, luxurious rooms and suites with grand luxury, style and technology for a productive and relaxing experience in Mexico. The Presidente InterContinental Hotel Guadalajara has been awarded with national recognition "Distintivo H", because of its hygiene, high quality and neat handling of food. 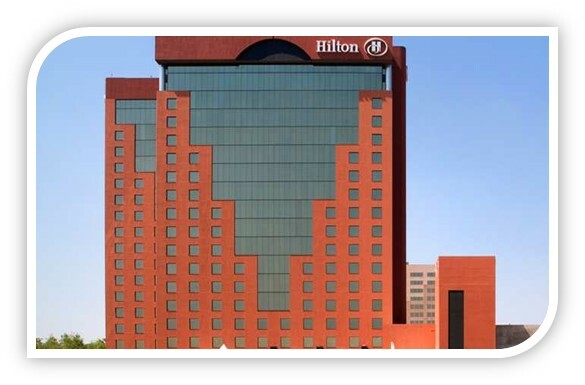 We offer the largest hotel meeting space in the city as well as a full range of business services, first-class restaurant, fitness center and exciting leisure options, including nearby golf or tennis. Quinta Real's 76 suites greeting guests to an ambiance of discrete elegance and complete peace and relaxation. Decorated in soothing tones, with romantic lighting, exquisite finishes, antique-style furnishings and fine amenities, they have become the prime choice in Guadalajara's newlyweds for their wedding night, and a perfect refuge after a hectic day of business, visiting the crafts shops in nearby Tlaquepaque or exploring the Historic Center. 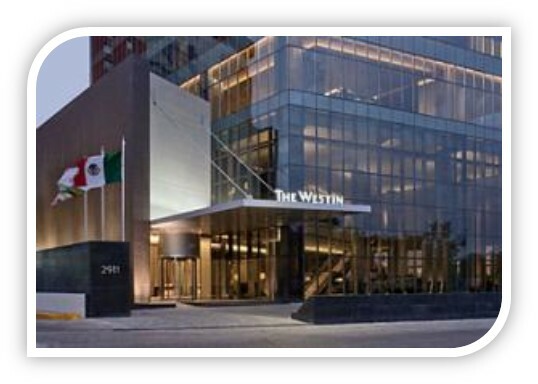 The Westin Guadalajara is in one of the most prestigious areas of this thriving metropolis, rich in both technology and culture. 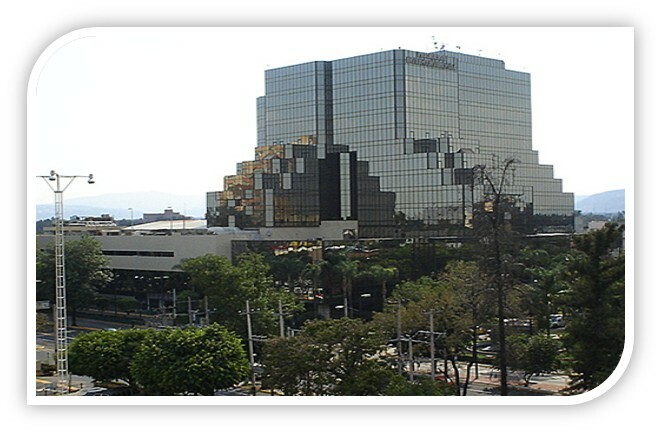 The Expo Guadalajara is next door, and the World Trade Center, corporate offices, and numerous shops are nearby. See most important tourist attracions in historic district of Guadalajara with your Bilingual tour guide and local expert. 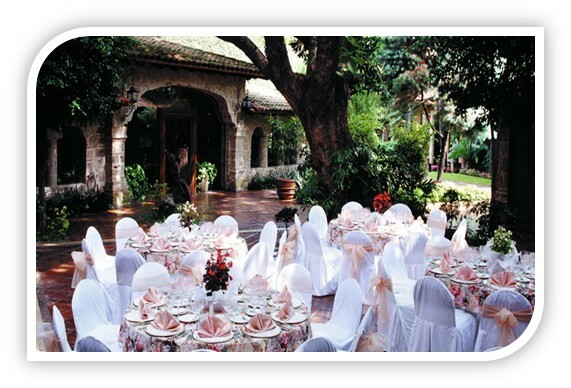 Hotel El Tapatio & Resort is one of the most representative of Guadalajara, Mexican colonial style, luxuriously built horizontally, with spacious, comfortable rooms with parking in front and cobblestone streets framed with beautiful gardens surrounding the pool. The architectural design of this complex landscape, unique in its category was the work of Don Luis Martinez Negrete, space planning is based on the use of large green areas. Camino Real Guadalajara has a land area of 40,000 square meters, with three acres of gardens and recreational facilities that give the visitor a taste of being in a natural environment. 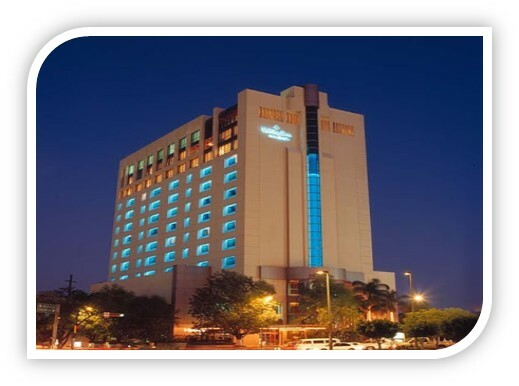 Hotel Mision Carlton Guadalajara, Mexico an excellent lodging option for your next trip to this important industrial city. The property is located in the cultural heart of the city. 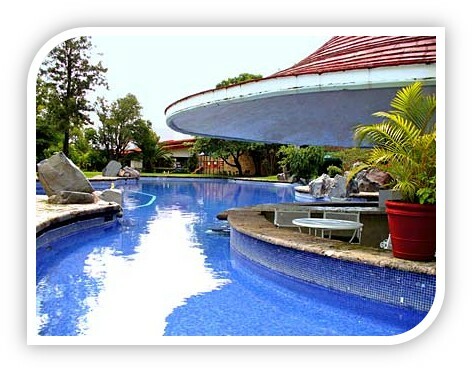 Hotel Victoria Ejecutivo (former Hotel Victoria Express) is the best hotel for leisure and business travel. Excellent location, just in the corner of López Mateos and Lázaro Cárdenas just minutes away from to the Expo Guadalajara Convention Center. The Holiday Inn Select Hotel is located in the best area of the city close to the Expo Guadalajara and main avenues and surrounded by business and shopping centers. 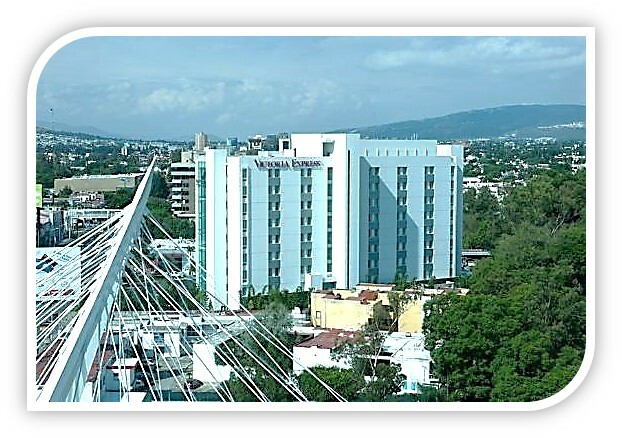 Holiday Inn Select hotel offers the best "Matute Remus" cable-stayed bridge views, Our rooms and public areas were renovated in 2012 with all the comforts for our business travelers, making this hotel the best option in Guadalajara.